This is a worksheet to practice the question What is it? Kids have to answer the questions in the first activity and create themselves the questions for the answers in number two. The worsheet is full of pictures so it would be fun for them! 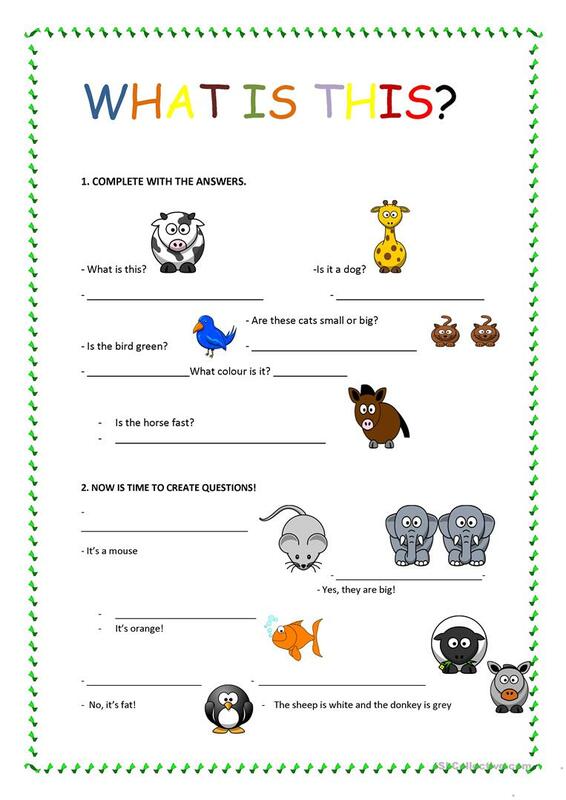 This downloadable handout is a great resource for elementary school students and kindergartners and nursery school students at Beginner (pre-A1) and Elementary (A1) level. It is aimed at practising Questions in English, and is a valuable material for improving your class' Reading and Writing skills. It features the vocabulary topic of Animals.